I went for a walk on the beach this morning with Molly and we watched the storm clouds creep towards us from way out in the Atlantic. A short while before the rain hit, the skies cleared a little and an enormous rainbow appeared. I managed to get this shot with the phone on my camera before the raindrops started and we made a dash for the car. 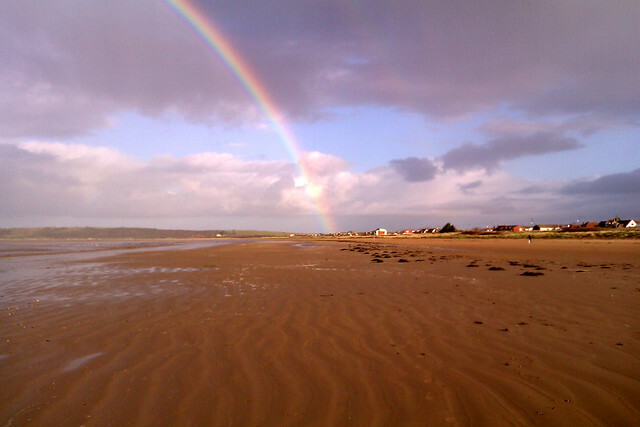 This entry was posted in Dogs, Photo of the week and tagged Beach, Dogs, Photo of the week, Rainbow, Weather by Simon Perks. Bookmark the permalink.